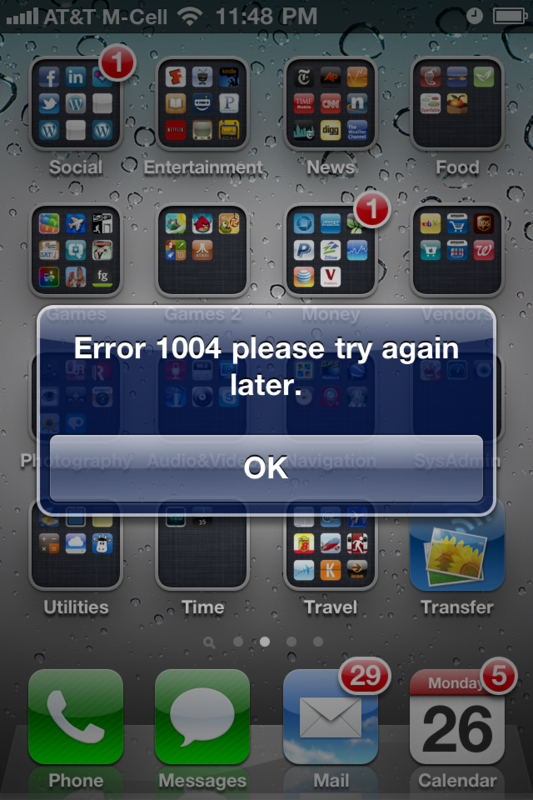 App Store “Error 1004 please try again later” on iPhone and iPad? By all accounts, from googling the experiences of others, issues from clock time to full memory can trigger the iPhone and iPad App Store “Error 1004 please try again later”. I was simply trying to update my installed apps. The problem hit me simultaneously on iPhone and iPad — which is a hint that the problem is server side. No amount of waiting to try again later made a difference. Not resetting the time. 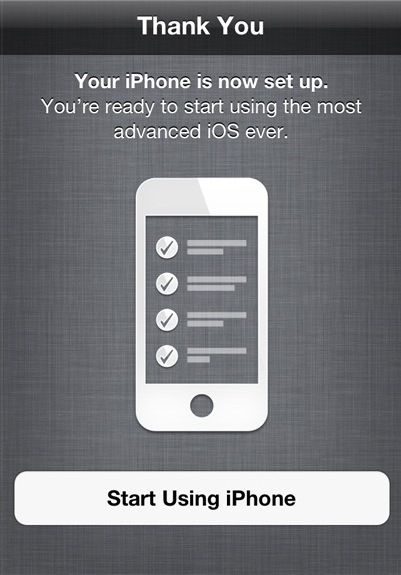 Nor restarting my iPhone/iPad. Nor rebooting my iPhone/iPad. Nor deleting a couple of videos to recover memory (even though I wasn’t short on available RAM to start with). Nor even switching between 3G and WiFi, thereby excluding router issues. 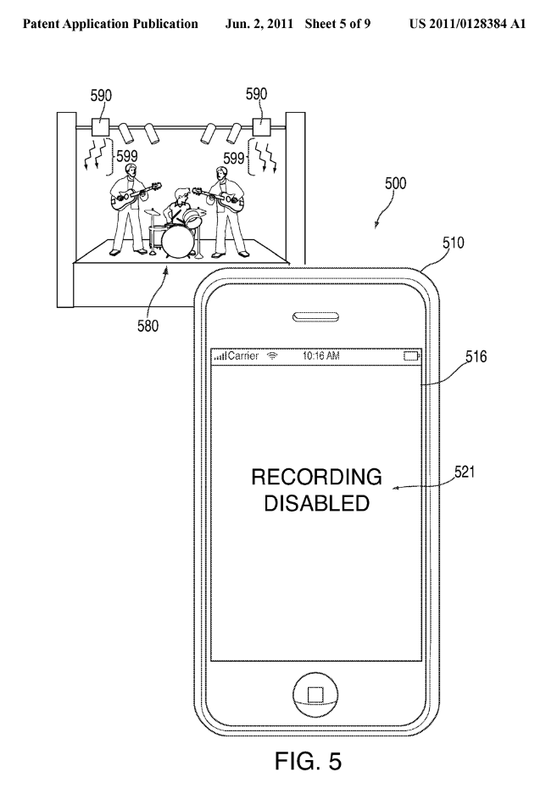 Apple’s dark side emerging: iPhone patent will allow third parties to turn OFF your camera! iPhone: AT&T vs Verizon. Which way to go? In spite of full 3G signal strength AT&T’s service in New York City doesn’t have the bandwidth to squeeze in another 160 characters. It’s bad and rapdily getting worse! Audio Volume on iPod/iPhone Movies set too Low?! The audio levels on my iPhone movies are too low. My music is loud enough and can be increased beyond my comfort levels. Movie soundtracks are, however, too soft even when the volume control is maxed out. Why the disparity in sound levels? Not sure. I’m time-shifting movies from DVDs using Handbrake, perhaps this app is to blame? If asked, acknowledge that you’re changing multiple files through this action! Of course you can and probably should change the settings on individuals movie files as you add them to iTunes. Synch up! Your movies should be loud enough, although still not equal to the maximum volume you can crank your music up to! Third time lucky? Will v3 finally bring select, cut, copy and paste to the iPhone? UPDATE: Tuesday 17th March. To answer the question before I pose it for new readers of this blog, the answer now is “yes” (see more appended). Will version three of the iPhone software, to be announced this Tuesday, finally bring select, cut, copy and paste to the iPhone? I would hope so. Tethering would be nice and so would video, push, background applications and stereo Bluetooth — but no requirement has been as long suffering nor as blatantly missing as select, cut, copy and paste. 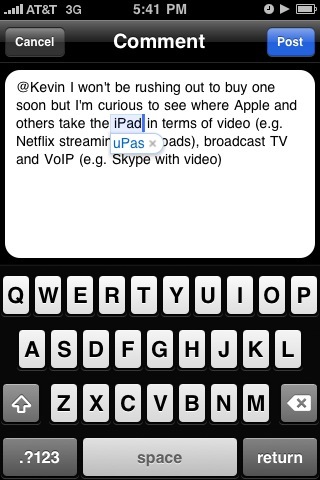 I’ve previously blogged about this omission: iRegret buying the iPhone: No select-cut-copy-and-paste! and iPhone could learn a lesson from Newton. iPhone: Trapped inside your company’s firewall? The joy of finding out your can log onto your company’s wireless network may be short lived if you discover you’re now trapped inside their firewall. You’ll likely be able to browse the internet but you’ll probably not be able to send nor clear your external email using the iPhone’s Mail application. You could ask your networking people to open up the appropriate ports, but let’s get serious here — they shut them down for security reasons in the first place. On the up side, you’ll be able to clear your company’s internal email and browse your intranet — without having to VPN in! So how might you work around this? You could consider trying to tunnel out of your company’s network by subscribing to a personal VPN service like witopia.net — something I thought of doing but did not try. Of course you’ll need your networking people to open some ports, of the less vulnerable kind, which hopefully they may be inclined to do for you. Witopia’s very responsive support people say it’s an iffy endeavor: It works for some and not for others. With their full money back guarantee it may be worth testing.